"Thanks again Jett! With your knowledge and guidance we we’re able to secure a superb home in a fantastic community at a very competitive price!" "Top guy to deal with, has always been fast to respond to my inquiries and has remained organized and professional every step of the way. 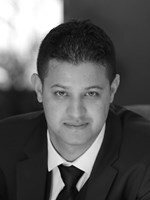 Save yourself the hassle and headache of searching for a competent real-estate agent, look no further than Jett Rao."